With his ultra-modern aesthetic and song lyrics that reference the next millennium, it’s no secret that Will.i.am is looking to the future. In addition to creating music, the multi-platinum recording artist has partnered with Coca-Cola on his “Ekocycle” line of clothing and accessories made using recycled materials. 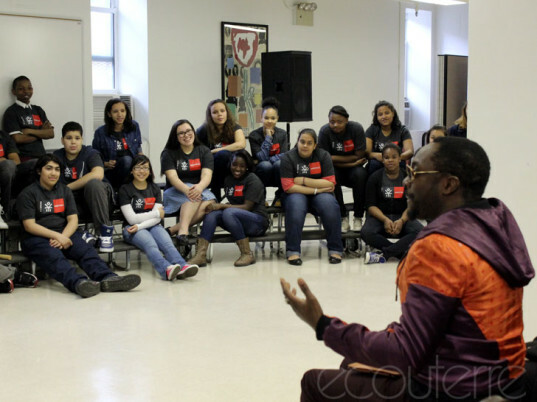 Ecouterre recently met up with the Black Eye Pea in the Bronx to find out more about why he is investing in green fashion and what he envisions for the next generation of clothing consumers. We have been following Ekocycle since it started, and I watched you at Brainstorm Green speaking about how you first got started thinking about recycling things. Could you talk a little about that, how you got the idea? I was inspired by other people’s executions of taking recycled rubber and turn it into backpacks, but I saw that they were limited, and you really didn’t find them in America. We found them in some obscure boutique, in one of ten, one of 100. So I wanted to do my part and connect the dots and go to Coca-Cola, and inspire them to see the potential of turning their byproducts into new products. It was a simple idea: taking Coca-Cola’s name, Coke, and reversing it to create Ekocycle. Eco community, eco conscience, eco collaborations, eco clothes. That was the initial idea. Let’s take Coke, reverse it and have it support a bunch of different eco causes. Since then, we have Levi’s Ekocycle jeans; Beats [by Dre] Ekocycle headphones; Ekocycle Adidas; Ekocycle NBA logo shirts; Ekocycle MCM, which I’m wearing now. That is awesome. 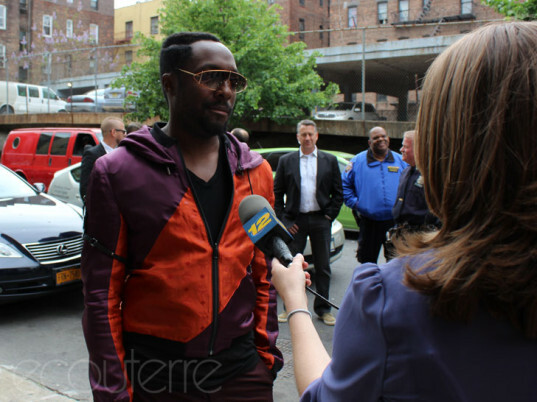 Is this (gesturing to Will.i.am’s outfit) all recycled too? Yeah, this is all plastic water bottles. It’s denim on the inside and the polyester is made out of recycled water bottles. And it’s reversible. We heard you say at the conference that most of the green items you see on the market right now are just not cool. How can we make green products cool? The problem is that many of the people who design the green stuff, they’re not the same people who design the things that we desire. They’re two different designs. So we have the people making these crunchy designs that are green and then you have, like, a dude in Paris who is like “Dahling, this is silk.” Two different design communities. Take silk, there are certain things that are animal byproducts and we turn them into clothing because technology has allowed us to take silk and cotton and turn them into fabrics, and then we design desirable items out of those. Now we just need to do the same thing using sustainable materials. That’s why [we commissioned] this MCM jacket; MCM makes fresh bags. They designed this the same way they were designing everything else they make, because you have to start aspirational. So as soon as you make a recycled shirt, and it’s all cheap, that coupling unfortunately hurts sustainability. So you need to start aspirational, especially when you need to educate people on the things you can do with recycled goods. That is important. I think kids are pure, and they’re not trapped in, you know, the brown world. They’re not making money off of brown things, so they’re more likely to accept green things. I think green has been designed to fail by the brown community. It was like if you tell a kid, “Use this fabric. Make something nice.” They wouldn’t know the difference between silk and a recycled material, and they’re not attached to the idea that we need to desire silk. So they’re not a part of that system. They can redefine and recondition our condition. 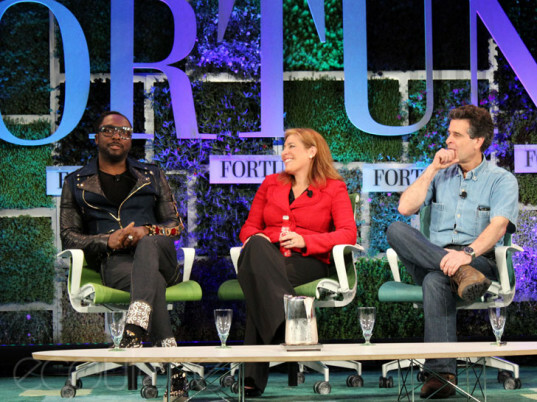 They’re tomorrow’s designers, tomorrow’s CEOs. They’re tomorrow’s leaders. If we educate them now on the possibilities, we can be living in a sustainable world 20 years from now. As an African-American, I'm so happy to see an influential African-American speaking out about ethical fashion. 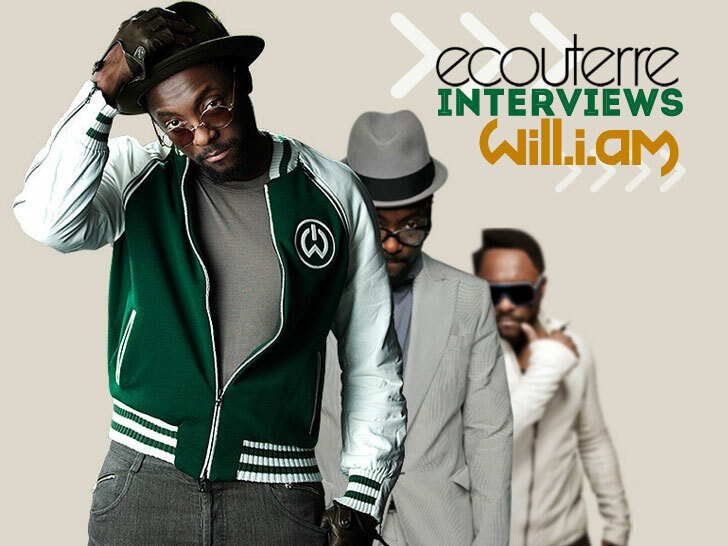 I hope that Will.i.am's consciousness spreads to Essence magazine. Despite protests from readers, every fall the magazine features fur fashion. It's a display of cruelty that has no place in any publication. With his ultra-modern aesthetic and song lyrics that reference the next millennium, it's no secret that Will.i.am is looking to the future. In addition to creating music, the multi-platinum recording artist has partnered with Coca-Cola on his "Ekocycle" line of clothing and accessories made using recycled materials. Ecouterre recently met up with the Black Eye Pea in the Bronx to find out more about why he is investing in green fashion and what he envisions for the next generation of clothing consumers.